Play USTA Jr. Team Tennis—REGISTER NOW!! The Wisconsin Tennis Association announces registration for USTA Jr. Team Tennis throughout the Wisconsin District! Wherever you reside in the state of Wisconsin, there may be a USTA Jr. Team Tennis League for you!! You are invited to enjoy spirited competition and the opportunity to make new friends! USTA Jr. Team Tennis is available to beginning, intermediate or advanced junior players ages 12-18 to participate in 6-8 weeks of team tennis in their communities. Players will enjoy developing tennis skills, competing and playing with friends and teammates. 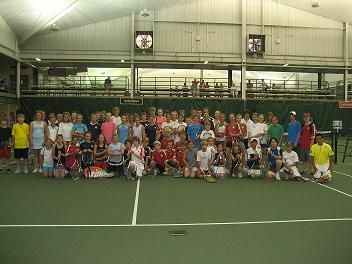 Teams that won their local league automatically qualify for entry in the Wisconsin District Championship, July 23-25 at Nielsen Tennis Center in Madison. Contact your local league coordinator, listed below, to register for a summer of tennis fun! For additional information contact Christy Etten, Wisconsin District League Coordinator at	cetten@wisconsin.usta.com, 920-858-5268. The WTA- We’ve Got GAME!